Below are a few of our many Florida personal injury settlements. We also invite you to check out our Florida car accident settlements. Alternatively, you can view our slip and fall settlements for people hurt in Florida. We fight very hard for our clients. Our goal is to get the best settlement possible. Watch our video (below) about our injury settlements. Or if you prefer, keep reading. A truck hit a motorcycle rider. The accident happened in Hialeah, Florida. At the hospital, x-rays showed that the motorcycle rider had a broken leg and finger. A doctor operated on his broken leg and finger. Wisely, the motorcycle rider called our law firm while he was in the hospital. Within hours, Miami injury lawyer Justin Ziegler was at the hospital. There, the rider hired us. We got the motorcycle rider a $445,000 settlement. This settlement is more than the average motorcycle accident settlement. Simply put, most motorcycle accident cases don’t settle for $445,000 (or more). Also, we did not settle this case until the motorcycle rider finished getting his medical treatment. There are many factors that affect settlement in an injury case. The length of medical treatment is often a big factor that affects how long a case takes to settle. Check out this $325,000 settlement after a driver crashed into a pedestrian in Coconut Grove, Florida. He fractured his tibia (shinbone) shaft. He had surgery to fix it. This settlement is more than the average settlement when a car hits a pedestrian. We got a $300,000 settlement for a driver’s broken leg from a car accident. The part of his leg that was fractured was the tibial plateau. He also had a detached meniscus. The crash happened in Clearwater, Pinellas County, Florida. Travelers paid $200,000 from its underinsured motorist insurance coverage. The settlement check is below. Allstate insured the careless driver, and paid $100,000. Here is the settlement check. A passenger tripped and fell on cruise ship. She had surgery to fix her broken humerus (bone in upper arm). We were co-counsel. See a case where a shopper got a $300,000 settlement for 2 skin grafts on his leg, and a herniated disc from slip & fall on at Miami supermarket. A vehicle crashed into an Uber car in Miami. We represented the Uber driver. The Uber driver claimed that the accident caused his back injury. The Uber driver claimed that the accident caused or aggravated disc protrusions in his lower back. Most of the settlement was for pain and suffering. The settlement also covered the Uber driver’s medical bills. CNA, the insurer for the at fault van, paid the $260K settlement. This is my biggest settlement where the injured person didn’t have surgery. See our $210,000 settlement for a Miami man who was in a truck crash. He claimed that the accident caused his glenoid labrum (shoulder joint) tear. He also claimed that the truck that rear ended him caused his 3 herniated discs. Claimant wore a brace like this. Check out a $210,000 settlement for man who had 2 surgeries to his wrist. He fell from a loose both at a Denny’s restaurant in North Miami Beach, Florida. Travelers Insurance Company insured the restaurant. Check out this $200,000 settlement for a lady who had surgery to her wrist. Another driver ran a red light and crashed into her car in Miami, Florida. A guest was staying at a Marriott hotel in Pensacola, Florida. While in the hotel, she slipped in a bathtub. As a result, she fell. At the hospital, an x-ray showed a broken arm (humerus). She had surgery to fix it. She also claimed other injuries. We represented her. The hotel injury settlement was for $197,500. Not actual staircase from case. A guest at a condo complex in Miami slipped and fell on slippery stairs with an improper handrail. He claimed that this caused his bad leg injury. 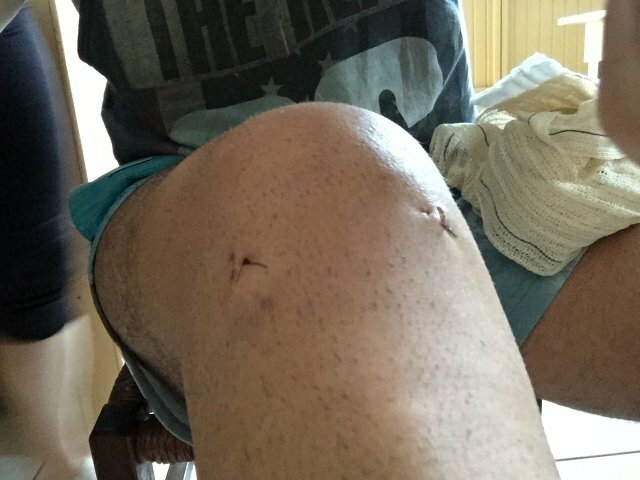 On June 30, 2018, Zach was in a car accident in Sarasota, Florida. In the crash, he broke his arm. He has surgery to his humerus. ESIS (Ace American Insurance Company) insured the Hertz rental car. We settled his broken arm claim for $170,000. A car occupant got $150,000 for a back (lumbar) fusion after the car he was in t-boned another car. The other car failed to yield the right of way when making a left hand turn. It happened in Miami, Florida. Learn about a $138,433 settlement where a driver made an improper lane change on the highway. He hit another car. The passenger had (rotator cuff) surgery. $8,433 of the settlement was from medical payments insurance. A car occupant broke her wrist. She had surgery from this Hialeah car accident. We settled the personal injury case for over $134,500. See a case where a driver got a $125,000 after a car cut him off and they crashed in Miami. He suffered a broken hand and had surgery to fix it. A truck hit a pedestrian in Homestead, Miami-Dade County, Florida. She suffered fractures in her face, which resulting in surgery. We settled for the policy limits of $110,000. Photo of the cars involved in this crash. He waited a long time to get formal medical treatment. Months later, he had excruciating lower back pain. An MRI showed a L5-S1 herniated disc in his lower back. A neurosurgeon performed a L5-S1 hemilaminotomy, medial facetectomy and microdiskectomy, using a microsurgery. State Farm insured the driver that rear ended him. They paid their $100,000 bodily injury liability insurance limits to settle. I represented Keith. Here is State Farm’s $100K check. She claimed that the accident aggravated her pre-existing herniated disc. She also had a small fracture to a bone that didn’t need treatment. GEICO insured the careless driver. GEICO paid the $100,000 bodily injury (“BI”) insurance limits shortly after the crash. You won’t believe this $100,000 Settlement for a young motorcyclist who claimed a herniated disc, meniscus tear & erectile dysfunction were from a car crash. A truck hit our client, who was driving a car. The car accident happened in Miami, Florida. Our client had lower back surgery. The procedure was a percutaneous discectomy. Liberty Mutual was the BI liability insurer for the at fault vehicle. Liberty Mutual paid the $100,000 limits. Our client was riding a bicycle in an intersection near Ft. Lauderdale, Florida. A pickup truck hit her. Paramedics took her to the hospital. She had a facial fracture. A surgeon inserted a plate into her face. USAA insured the pickup truck. USAA paid us their $100,000 limits to settle the personal injury case. We were able to get the hospital to reduce its bill from around $100,000 to $33,333. Our client was a passenger in a car. The driver of the car crashed into a structure. Our client had a thumb injury. He had surgery. The car’s driver was insured with the Hartford Insurance Company. The driver had BI limits of $100,000 per person. The Hartford paid $100,000 to settle the case. Our client, a middle-aged man, was driving his car in Miami, Florida. The tractor-trailer (18 wheeler) ran a red light. It cut him off. He crashed into the side of the 18 wheeler. At the hospital, he was told he might have a fractured vertebra. Thus, an ambulance took him to another hospital. At the second hospital, he was told that he did not have a neck fracture. However, an MRI showed a herniated disc at C5-C6. We settled his personal injury claim with Zurich for $100,000. Man hit by drunk driver and diagnosed with herniated disc. 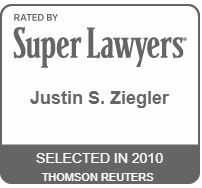 Curious to see how Justin “JZ” Ziegler can help you with your case? See a $78,000 Settlement for a unit owner who misstepped and fell at her condo building. She fractured her nose and had surgery. $5,000 of the settlement was from Medpay coverage in the condo’s insurance policy. Woman had arthroscopic knee surgery and a bulging disc. A car made a left hand turn in front of her. It happened near Coconut Grove, Miami-Dade County, Florida. Progressive was the bodily injury liability insurer for the other car. The other driver was cited for failing to yield the right of way. Progressive paid $50,000. Allstate was the underinsured motorist (UIM) auto insurer. We filed a civil remedy notice with Allstate. They eventually paid $25,000. The total settlement was $75,000. Shopper suffered a patella fracture from a slip and fall on water. A passenger was in a Lyft car in Miami Shores, Florida. Another car crashed into the Lyft car. The Lyft passenger went to the hospital. There, doctors took an CT scan of his brain and neck. Next, he called our Miami injury law firm. 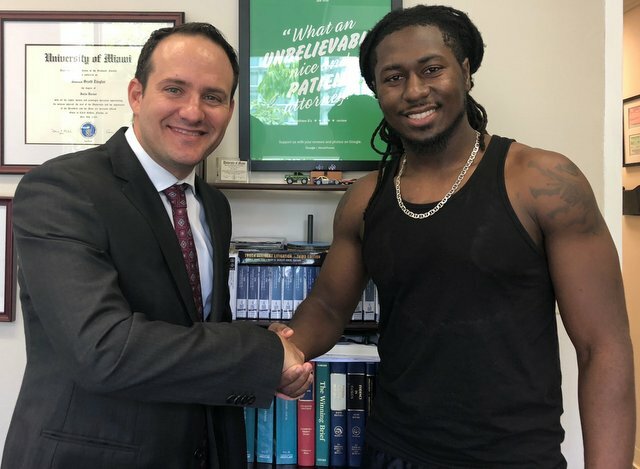 Since he didn’t have health insurance, Miami injury lawyer Justin Ziegler helped get him seen at a nearby doctor’s office. He claimed the crash caused neck, back, wrist and ankle injuries. GEICO insured the at fault car with $25,000 in BIL insurance. We argued that his injuries were worth more than GEICO’s $25,000 limit. Thus, we made an uninsured motorist (UM) insurance claim with Lyft. Lyft paid us $45,000 to settle his UM claim. The total personal injury settlement was for $70,000. For a Madison, WI woman who suffered personal injury to her shoulder when she was rear ended in a car crash in Kissimmee (Orlando), Florida. She had arthroscopic surgery to her shoulder. The defendant’s attorney and insurance company argued that her shoulder injury preexisted the accident. They also argued that her rotator cuff tear could not have been caused by a rear end collision. The defendant was ticketed for the accident, but the defendant disputed liability. The defendant was insured by a liability insurance company based out of Hialeah, Florida. This case settled for $65,000 one (1) month before trial. Her out of pocket medical bills were about Six thousand dollars ($6,000.00). You won’t believe how a man got $64,900 settlement for tripping and falling in a hole that was covered by grass overgrowth in Doral, Miami-Dade, Florida. Chubb Insurance Company paid $32,500. Florida Insurance Guarantee Fund (FIGA) paid $32,400. They insured the office condo complex owner, property manager and the landscaping company. For a woman in her twenties who was involved in a multi car collision. Her injuries ultimately resulted in arthroscopic shoulder surgery to her non-dominant shoulder. Three cars were involved in the accident. Progressive insured the middle car, which hit our client. The insurance companies for the responsible parties were GEICO and Progressive. The liability limits of bodily injury insurance for Progressive was $10,000. They paid $10,000. Our client’s car sustained minor to moderate damage. Her shoulder healed well following surgery. Surgery wasn’t needed. The accident happened in Land O Lakes, Pasco County, Florida. Travelers Insurance Company paid this settlement. Our client was driving his pickup truck. Another driver ran a stop sign. He hit our client. Our client claimed that the crash aggravated his herniated discs. He received epidural injections. GEICO was the BI liability insurer of the other vehicle. GEICO paid its BI limits of $20,000. Star & Shield Insurance Exchange insured our client with UM liability coverage. NARS handled the UM liability claim for Star & Shield. Wilma Bledsoe was the UM liability adjuster. A scooter rider got $35,000 after a driver failed to yield the right of way and hit him in Miami Lakes, Florida. He suffered a upper leg bone (femur) fracture. Our client fell while allegedly walking up steps to a portable bathroom. It was located at Homestead, Miami-Dade County, Florida. She fractured her wrist. Scottsdale Insurance Company insured the company that supplied the portable bathroom. Scottsdale paid $35,000 to settle our client’s case. Additionally, the at fault driver’s BIL insurer (Windhaven) paid us $8,000. We were limited because another driver also had a claim. For US Customs worker who sustained a meniscus tear and tibia plateau fracture as a result of being hit by a car while he was riding his bike. He basically had no limitations following the healing of his injuries. State Farm insured the driver. For a man whose leg was cut by glass when he was exited a hotel shower and the door shattered. It was against the W-hotel in Fort Lauderdale, Fl. The hotel was insured with Liberty Mutual. 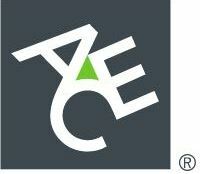 Ace Insurance insured the glass installer. USAA insured the at fault driver. USAA paid $30,000 to settle the case. October 2015. An 8-year-old got $30,463 for after she fell off a bench at the park at the condominium in Fort Lauderdale, Florida. She broke her elbow. 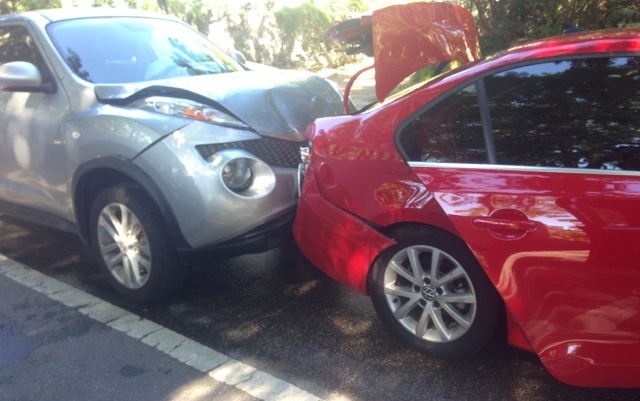 In a car accident for a passenger that was rear ended in Miami, Florida by a car insured by Nationwide. He treated with chiropractors for over a year before having an MRI on his back. An MRI revealed a herniated disc effacing (pressing on) the spinal cord. My client lived in California. This client is one of the numerous clients that we have represented who did not live in Florida but was injured in Florida. My client claimed that a car crash caused his neck pain. Another driver was cited for careless driving. He also complained of pain in his shoulder, wrist, back, knees and ankles. The careless driver was uninsured. My client had $25,000 in uninsured motorist (UM) coverage with USAA. USAA paid $25,000. The accident happened in South Florida. Man driving a moped/scooter was hit by a taxi in Miami Beach, Florida. He injured his shoulder. Settlement against a cruise line when my client, a passenger, fractured her ankle when she slipped and fell on water while walking down the stairs on the outside deck of the ship. A drunk driver crashed into a car within which our client, a young lady, was a passenger. We settled for the bodily injury liability coverage limits of $25,000. State Farm insured the careless DUI driver. Our client was driving a car, which had UM liability coverage with USAA. A truck crashed into the back of her car. She sustained soft tissue injuries. We made a UM liability injury claim with USAA. They paid the $25,000 policy limits. A driver got $25,000 after a pickup truck rear ended him in South Miami. I claimed that the crash caused or aggravated 6 bulging discs & an annular tear. She also suffered was a C6-C7 posterior disc herniation and Bilateral broad-based bulging discs C3-C4, C4-C5. She also had Bilateral feet and toes paresthesia. State Farm insured the careless driver. We made a claim against State Farm. The policy limits for careless driver were $25,000. My client did not have underinsured motorist insurance which would have resulted in a much larger payout for my client. For an elderly Cuban-American businessman who suffered a broken (fractured) tibia (lower leg bone). A driver, insured by State Farm, hit him. The accident occurred in Miami Lakes, which is a few minutes from Hialeah and Miami Gardens. My client did not purchase undersinsured motorist insurance coverage. If he did, he would have got a larger payout. We represented a guest of a Hyatt Place Hotel in Doral, Florida. It is located in the airport west area. She slipped on water on the floor in the cafeteria area. She claimed that the fall caused her torn upper thigh muscle (quadriceps). Rope which was tied from a Carnival (cruise line) ship to a tender boat snapped. It hit our client’s arm. He claimed shoulder impingement syndrome. We sued the cruise line and it settled after mediation. Henry (not real name) was in a car that was T-boned by another car at an intersection in Miami-Dade County, Florida. The other driver received a ticket for running the red light. After the accident, he had knee pain. He had an MRI of his knee. It revealed joint effusion (water on the knee). Henry also claimed that the accident caused or aggravated a two herniated discs in his lower back. Progressive Insurance paid the bodily injury (“BI”) liability insurance $10,000 limits. Another insurance company paid its $10,000 BI liability insurance limits. Lisa (not real name) was in a car that was T-boned by another car at an intersection in Miami-Dade County, Florida. The driver of the other car received a ticket for running the red light. Lisa claimed that the accident caused or aggravated a herniated disc in her lower back. She also claimed that the crash caused a small scar on her body. Progressive paid the $10,000 BI liability insurance limits. Another insurance company paid its $10,000 BI liability insurance limits. See a case where a driver claimed that a car made an improper lane change and crashed into her SUV. She claimed a herniated disc, ACL sprain/tear and more. Our client was visiting the United States. She was a passenger in a car. Another car, which Progressive insured, crashed into the rear of the host vehicle. The other driver was cited for reckless driving. My client, a mother and wife, received chiropractic care for her personal injury. An MRI of her neck revealed a disc protrusion (herniation) which indented on the ventral (spinal) cord. She also had multilevel disc bulges. The chiropractor stated that she should meet with an orthopedic doctor to discuss having surgery. Her daughter and mother was also in her car. We settled her daughter’s car crash claim for $10,000. We settled her mother’s claim with Progressive for $20,000. For my client who was hit, while she was working, by a driver insured with GEICO. It happened in Miami, Florida. We argued to the worker’s compensation insurer should reduce its lien by thousands of dollars. We were able to get it reduced. Florida law allows the claimant to get the workers compensation lien reduced by his fees and costs. It also allows the court to consider any other equitable factors when reducing the lien. Manfredo v. Employer’s Cas. Ins. Co., 560 So. 2d 1162 – Fla: Supreme Court 1990. For a Miami twenty 29-year-old man who was hit by a driver insured by State Farm insurance. His injuries included a herniated disc which was impinging. The driver was driving a friend’s vehicle at the time of the accident. State Farm paid its policy limits of $10,000. His friend, fortunately, had a underinsured motorist insurance policy (with USAA) which paid $9,850.00. USAA argued that my client was not wearing his seat belt at the time of the crash. 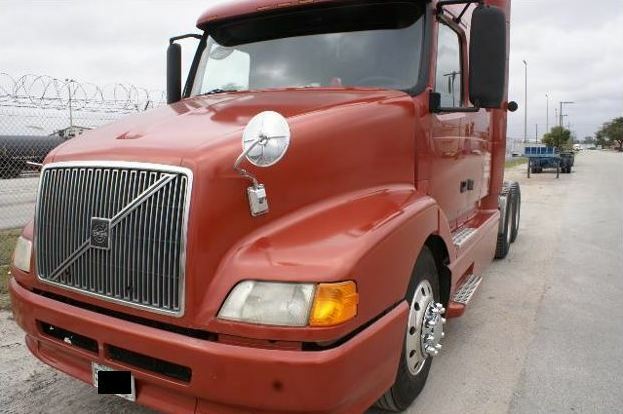 For a young man who was suffered personal injury in Miami when a truck tractor [(Cab-Bobtail) whose vehicle use was commercial cargo] made an improper lane change and hit (sideswiped) the automobile that the client was driving. The police report listed the estimated vehicle damage of the client’s car at $1,000.00. The driver who caused the accident was insured with Zurich American Insurance Company. On the same day of the accident the client treated with Baptist Medical Plaza at Doral Urgent Care. He was evaluated for an ankle contusion, foot contusion, and neck pain. The doctor gave him a foot brace. He had leg and foot tingling sensations and headaches with low back pain. Four days later, my client treated with a chiropractor and continued treating for about four (4) months. Although this case did not involve an ankle fracture, you can learn more about settlement values for a broken or fractured ankle in Florida. She only went to about 3 or so medical visits. We represented the shopper. The total settlement was about $18,500. The doctor diagnosed her with a wrist sprain. We settled this trip and fall cut to the cheek case for $18,000. Nautilus Insurance Company paid this settlement. For a bicyclist who sustained lacerations to her chin and required several staples in her abdomen when a driver (insured by State Farm) hit her. The police officer did not issue a ticket because he felt that the client, the bike rider, and the other driver were at fault. Our client was on her bike riding against the flow of traffic. The insurance company stated that they believed the bicycle rider was responsible for 30% of the accident. For a lady in her early 20’s after another driver rear ended her. She claimed the crash caused two herniated discs. My client was driving a car. He claimed that his herniated disc was caused by an accident with another car. You can read about how much your case may be worth in Florida if you have a herniated disc. A guest was staying at a hotel in Florida. The guest slipped and fell on the hotel’s property. The guest hired us. The hotel paid us $15,000 to settle the guest’s personal injury claim. 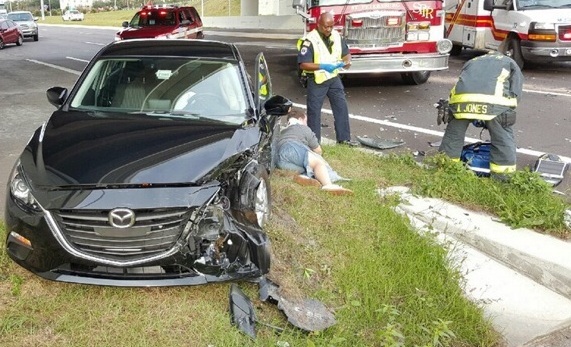 Lady claimed soft tissue injuries after she was driving her, which was hit by another car in Venice, Lee County, Florida. The airbag deployed. It caused burns to her hands. The burns were temporary. 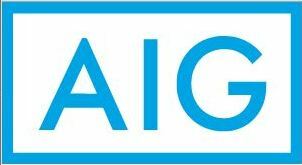 AIG insured the at fault driver. They paid $10,000. The car’s airbag burned her hands. The burns went away after a few months. Allstate was our client’s uninsured motorist insurer. Allstate paid $4,300. Deborah Meadows was Allstate Insurance Company’s claims adjuster. A young lady went out to a popular South Beach restaurant located on Ocean drive in Miami Beach, Florida. While eating at the restaurant, a place struck her face below her eye. She didn’t know who threw the plate. My client went to Mount Sinai Hospital for medical treatment. She was given stitches to close up the cut. Months after the accident the cut was no longer visible. American Empire Surplus Lines insured the restaurant. They are part of Great America Insurance Group. They paid $13,500 to settle. $1,000 of the settlement was from the insurance policy’s Medpay coverage. I did not charge a fee on this $1,000 portion of the settlement. On behalf of a woman who was rear ended by another car. Allstate was the BI insurer. We received the policy limits of $10,000 from Allstate. State Farm was the UM coverage insurer. For a mother of three who suffered personal injury to her shoulder and neck when she was broadsided by another car in Miami, Florida. The at fault driver is insured by Progressive. The client was taken by ambulance to the Emergency Room, where she was released after a several hours. On April 22, 2018, my client was in his car and stopped at a light in Fort Lauderdale, Florida. A drunk driver hit him. You can read more about this $10,000 settlement. A car ran a bicyclist off the road in North Miami, Florida. The driver left the scene. The bike rider fractured his elbow and wrist. The total available coverage was only $10,000 in uninsured motorist insurance. We settled for $10,000. A driver t-boned my client while he was driving his car. Star Casualty Insurance Company insured the careless driver. My client had pain in his collarbone (clavicle). The accident happened in Miami-Dade County near Cutler Bay, South Miami Heights and Richmond West. Star Casualty is a small insurance company that is located in Miami. A driver rear ended our client’s car. Our client was driving. We settled this case in July 2015. The crash happened in January 2015 in Miami Beach, Dade County, Florida. Our client’s doctor diagnosed him with a knee injury (meniscus tear). He had arthroscopic surgery, in his native country, to fix it. We had his Portuguese medical records translated by a discount translator. We try hard to keep costs down. One of the 11 benefits of hiring an injury lawyer is that we can pay for costs in advance. Learn more about this $10,000 settlement. Our client was visiting Florida from another state. She was driving her car. Another driver crashed into her. She went to the hospital in Fort Pierce, St. Lucie County, Florida. She then went to a chiropractor for several months. She had a soft tissue lumber (lower back) strain and sprain. GEICO insured the at fault driver. GEICO initially offered $800. We refused. We later settled with GEICO for $10,000. For a Cuban-American 30-year-old who was rear ended by driver insured by State Farm who hit the driver while the driver was stopped in the emergency lane on I-95. The client’s injuries included back pain and a serious eye injury. He was treated at the Anne Bates Leach eye center, Jackson Memorial Hospital, and Bascon Palmer in Miami, Florida. Unfortunately, the driver and owner of the car that rear ended the client were underinsured. For a back seat female passenger of a car suffered personal injury when another car struck the car which she was in. At the moment of impact, her shoulder hit the car seat. The at fault driver is insured by Progressive. The car accident occurred in Miami, Florida. The passenger’s injuries include a full thickness rotator cuff tear and a herniated disc. She would like to have shoulder surgery to relieve her pain. The insurance company initially offered only $2,000. Justin clearly explained to the insurance adjuster that this claim was worth more than the negligent driver’s policy limits. This person injury claim illustrates the importance of carrying underinsured motorist insurance. The client did not have health insurance and the money we recovered is unfortunately not enough to cover her for a rotator cuff surgery. If she would have had underinsured motorist insurance, she would have been able to have a rotator cuff repair. For a 21-year-old Cuban-American woman who was hit by a driver/owner of a car insured by State Farm. The client’s injuries were soft tissue in addition to headaches. There was significant damage to the client’s automobile. The client did not have an MRI. She treated in Doral, Florida. For a 20 old woman who was rear ended in a car long with her mother and relative. The at fault party received a citation for reckless driving and was insured by Progressive. We threatened punitive damages if we filed a lawsuit. We had the client sign a waiver of conflict of interest so that we felt comfortable represent all three injured accident victims of the same car. For a young man whose car was t-boned by another car that failed to yield the right of way in the intersection in Miami, Florida. He required 2 sets of stitches on his face; 7 stitches on his forehead and 20 stitches in his eyebrow. He has neck pain and is treating with doctors in South Miami, Florida. The policy limits of the tortfeasor were only $10,000 which is very typical in Florida, because the laws do not require that car owners carry any bodily injury insurance. Had the client had underinsured motorist insurance, we would have been able to get him more money. Our client did not carry underinsured motorist insurance, thus we could not make a claim against his insurance company for any amount above $10,000. For a passenger in a car whose personal injury included broken ribs and a lacerated spleen. He spent several days in the hospital. The accident occurred in Miami, Florida near Kendall. We are working on reducing his medical bills. Our client ‘s father (resident relative) did not carry underinsured motorist insurance on his car, therefore we could not make a claim for any amount above $10,000. For the client, a young female realtor at the time, whose personal injury included 2 herniated discs which impinged on the thecal sac. She was hit by an uninsured driver who was driving a rental. Unfortunately, rental car companies are only required, if at all, to have minimal insurance limits. This is yet another example of a client who would have been able to recover thousands of dollars more had she purchased uninsured/underinsured motorist insurance. The driver that hit the client did not carry bodily injury insurance. The client did not carry uninsured motorist insurance on his car, therefore we could not make a claim for any amount above $10,000. On behalf of a young female driver who injured her wrist when she was struck by another car while driving her vehicle. The at fault driver was insured by Nationwide and the policy limits were $10,000. Our client did not have underinsured motorist insurance on her GEICO policy. If she had underinsured motorist insurance, she would have been able to have receive fair value for her personal injury. The value would have been greater than $10,000. On behalf of a mall security guard who was struck by a car while patrolling the mall in a golf cart. The owner of the car which the at fault driver was driving was insured by Allstate. Allstate paid $10,000. The driver/owner of the car that hit the client was undersinsured. Thus, our client was prevented from receiving many more thousands of dollars. On behalf of a pedestrian who was hit by a driver of car in a parking lot. The driver was insured by Clarendon National Insurance Company (RAC Insurance Partners LLC). The driver of the car that hit her was underinsured. A driver crashed into our client’s car. The other driver fled the scene. Our client was hurt. An ambulance took her to Memorial Regional Hospital in Broward County, Florida. She had pain in her pelvis (hip), chest, thoracic spine (mid-back), lower back, shoulder, and head. Our client had uninsured motorist (UM) insurance with American Vehicle Insurance Company. We made a UM claim with her insurance company. They paid the $10,000 policy limits. For a driver who was rear ended by a driver insured by GEICO. MRI’s revealed a torn rotator cuff tear, a herniated disc, and multiple bulging discs. Unfortunately, there were no personal assets that we could go after. Our client did not carry uninsured motorist insurance on his car, therefore I could not make a claim for any amount above $10,000. For a woman who was injured when she was a passenger in a car which was rear ended. State Farm insured the driver who caused the accident. A man was riding his scooter on 5th Street and Alton Road in Miami Beach, Florida. A driver of a car ran a red light. They crashed. About 2 months later, a doctor stated that he had a concussion. United Auto Insurance Company (UAIC) insured the car. The at fault driver’s policy only had $10,000 in BI liability insurance. United paid the $10,000 limits to settle the personal injury claim. Lady driver who was hit by another driver. On behalf of a passenger against the driver’s uninsured motorist policy when a hit and run driver rear ended the car he was riding in and then fled the scene. For a passenger in a car accident whose personal injury included a bulging disc. I also represented her husband in this claim. The driver of the automobile who caused the accident was insured with Nationwide. When the insured was rear ended by another driver of a motor vehicle insured by GEICO. According to the treating orthopedic surgeon, the client was a candidate for a percutaneous lumbar discectomy. The client did not want to undergo surgery. For a young Miami man who sustained injuries to his middle finger, neck, and back. His car sustained about $2,000 in property damage, when he was hit by another vehicle (cited for careless driving) in Dade County, Florida. The violator’s liability insurance company was Progressive American Ins. Co. The orthopedic physician’s diagnosis was Lumbar Strain/Sprain Syndrome, Straightening of Cervical Spine with Underlying Muscle Spasm, Disc Herniation and associated radial tear at C7-T1, middle finger fracture, Multilevel herniated discs of the cervical spine. The orthopedic doctor recommended a cervical discogram at multiple levels with intradiscal decompression under fluoroscopy at the positive levels. My client treated with a chiropractor for several weeks. His injuries included a neck sprain. He also had an consultation with an orthopedic doctor. Metlife insured the careless driver. For a client who was in a car wreck (rear ended) in Homestead, Florida. She treated with a chiropractor for several weeks. Her personal injury included a neck sprain. He basically was left with a lower back strain. For a young man’s car that was rear ended by another automobile. The driver who rear ended the client was insured by GEICO. The car accident occurred near Key Largo, Florida. The client had three (3) bulging discs. The insurance adjuster from GEICO argued that there was disc desiccation which preexisted the automobile accident. GEICO also argued that the bulging discs did not impinge on the nerve, thus there was no pain which the bulges were causing. On behalf of a young woman who was T-boned by a car. She went to the hospital by ambulance immediately after the accident. She was initially diagnosed with neck pain and a migraine. Her final diagnosis was lower back pain. State Farm paid $7,000 to settle a passenger’s injury claim. The passenger claimed that the crash caused his back and neck pain. On behalf of a gentleman (wife’s claim is below) who suffered personal injury when he was rear ended by another truck. He did not go to the hospital, but he treated with a chiropractor for several months following the accident. The at fault driver was insured with Nationwide. His injuries were neck (cervical) strain and back (lumbar) strain. On behalf of a lady (husband’s claim is above) who suffered personal injury when she was a passenger in a car that was rear ended by another truck. She did not go to the hospital, but he treated with a chiropractor for several months following the accident. The driver responsible for the accident was insured with Nationwide. Her injuries were neck (cervical) strain and back (lumbar) strain. On behalf of a young lady who suffered personal injury when her car was rear ended. Her injuries were muscle spasm and neck (cervical) and/or back (lumbar) strain. For a young man who was injured in Miami, Florida when struck by another car insured by Security National. Security National is owned by Farmers Insurance which is part of Zurich Insurance. He had pain in his neck and back. For a passenger in a SUV which was hit by another car. Her injuries were soft tissue in addition to a bulging disc. The driver who caused the accident was insured by Nationwide. On behalf of a gentleman who was hit while driving his SUV. His injuries were soft tissue. The driver who caused the accident was insured by Nationwide. On behalf of a 20 year old Park Attendant aid for Miami-Dade County Parks who was injured when a car failed to yield the right of way and t-boned his car in (West Kendall) Miami Florida. The negligent driver was insured with GEICO. His injuries were soft tissue, and he received 3 months of treatment, including accident rehabilitative treatment, with a chiropractor. For a Postal worker in Miami-Dade County, Florida who was rear ended by a car. The negligent driver of the other car was insured with Nationwide. The client’s injuries was neck pain and headaches. The MRI did not reveal any herniated discs or disc bulges. See a $5,000 settlement for a driver of a car who had two small scars to his knee after a car T-boned him in an intersection in Westchester, Miami-Dade County, Florida. On behalf of an additional passenger (Jamaican resident) who was hit by a driver cited for reckless driving resulting in serious bodily harm. The at fault driver was insured by Progressive. My client did not have a permanent injury. Another driver rear ended our client. Our client had physical therapy, hot and cold packs, electrical stimulation. He also had an ultrasound, massage and therapeutic procedures. He did not have a permanent injury. Progressive insured the careless driver. On behalf of a young mother who was hit by another car who made an improper lane change. She treated a Rehab for months and then saw an Orthopedic doctor. Her diagnosis was lumbar strain, cervical Strain, somatic dysfunction of the spine, Bulging disc at C4-C5 and C5-C6. The orthopedic doctor stated she has sustained a 7% impairment rating to the body as a whole. She was a candidate for CFFBs. On behalf of a young man who was hit by another car. The MRI revealed 3 bulging discs. He received therapy for a few months following the accident. Young child who suffered personal injury soft tissue injuries while she was a passenger in her mother’s car, which was hit by another car in Venice, Lee County, Florida. Venice is near Fort Myers. She was taken via ambulance to the Emergency Room. She had a follow-up visit with her pediatric doctor. The at fault driver had bodily injury insurance through AIG. This is one of my many Florida child injury settlements. For a young Florida International University (F.I.U) College student who was T-boned by another driver who failed to yield the right of way when she ran a stop sign. The client only treated with the doctor a handful of times, and did not have a permanent injury. For a young man who was injured, while on his way to work, when his car was struck by another automobile. On behalf of an injured driver when his car was involved in a wreck with another car. On behalf of a driver who was rear ended by another driver insured by United Automobile Insurance Company. On behalf of a 4-year-old boy who suffered personal injury when the car he was riding in was rear ended by another car. I also handled his parents’ claims. He received a permanent impairment rating of 3% for his soft tissue injury. For a passenger who suffered injury when the car she was riding in was struck by another driver who lives in Homestead, Florida. The owner of the at fault car also lives in South Florida. State Farm insured the at fault car owner. On behalf of a 17-year-old woman who was rear ended by another driver. The property damage to the car which she was a passenger in was only $200. She had a herniated disc and disc desiccation which Progressive (the insurance company for the at fault driver) could be an indication of pre-existing injury. On behalf of a mother who was rear ended by another driver. The property damage to the car she in was only $200. She had a herniated disc and disc desiccation which Progressive (the insurance company for the at fault driver) could be an indication of pre-existing injury. Where a driver was killed when hit by another truck. Liability was minimal on the driver who was at fault. Justin defended one of the insurance companies when he used to work as an insurance defense attorney represented drivers and owners of car who were being sued. I use this Florida injury settlement calculator as part of my analysis when deciding the fair value of a Florida personal injury case. Our Miami law firm represents people anywhere in Florida if someone’s carelessness caused their injuries in car accidents, truck accidents, slip, trip and falls, motorcycle accidents, bike accidents, drunk driving crashes, pedestrian accidents, cruise ship or boat accidents, store or supermarket accidents, accidents at someone else’s home, condo or apartment, Uber accidents, Lyft or Lyft Driver, and many other types of accidents.